A delicate well balanced vodka, mild and pure with an incomparable rich taste. 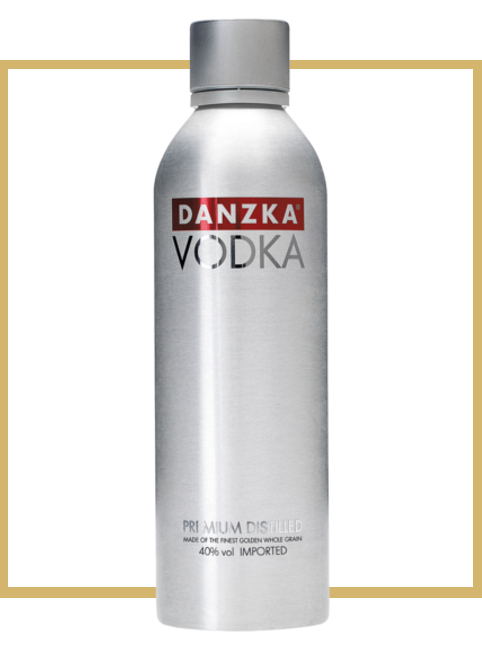 It serves as the perfect base in a cocktail or straight for pure enjoyment.This is the ultimate vodka “passe-partout”… it will mix perfectly with all possible mixers; never overpowering but always complementing. It will shine in classic cocktails as well as more contemporary creations, and is perfectly lovely, simply sipped. Color Straight & languid tears, with a bright clear and polished robe. Nose DANZKA opens up with a fresh and spicy/sweet character, driven by a luscious nose of black licorice, lemons and spices. It is a true Scandinavian-styled vodka: slightly grainy, spicy & beautiful layers of sweetness. Taste Soft, creamy & slightly sweet, it is quite forward with licorice notes and strong undertones of freshly grated ginger. Finish The finish is voluptuous, balancing the sweet character of DANZKA with a well-controlled spiciness.